This is yet another TY Lee exclusive ink. 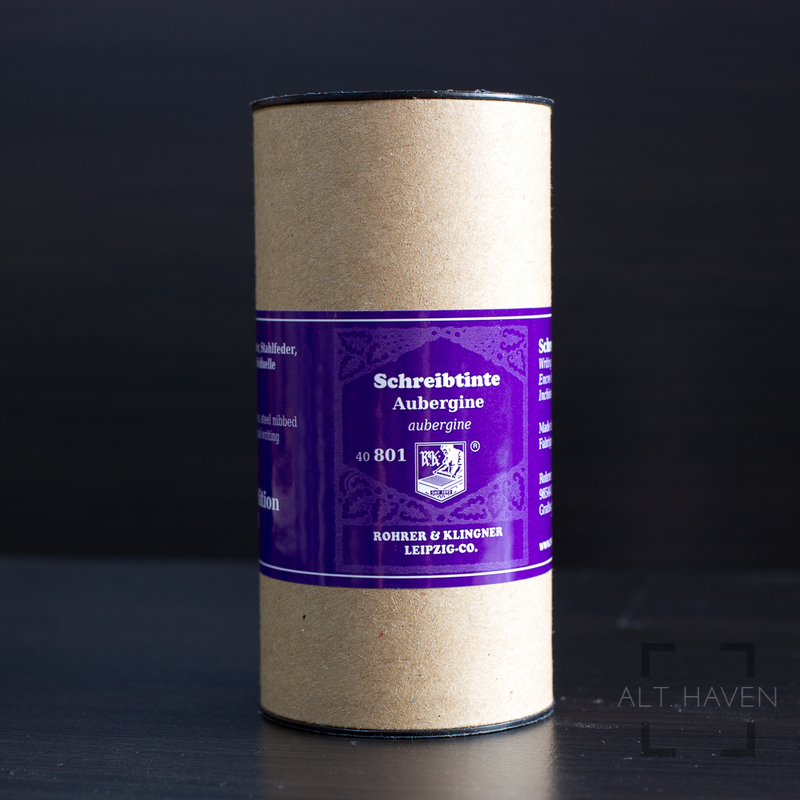 It's is a scented ink from De Atramentis. The scent is light, slightly floral. It’s not overpowering or too in your face. Hu Shi is a dark blue ink that shades subtly. It’s very much a corporate sort of blue which to me is which rather boring. I don’t really enjoy this kind of blue but as an ink it’s completely serviceable. Musubi is a Singapore company that specialises in making notebooks with Tomoe River paper, hand woven and bound with beautiful fabric exterior. But with a twist. Their focus on hiring people with physical or intellectual disabilities in Singapore and training women from abusive families in Indonesia allows them to create a social impact in a way not many companies do. 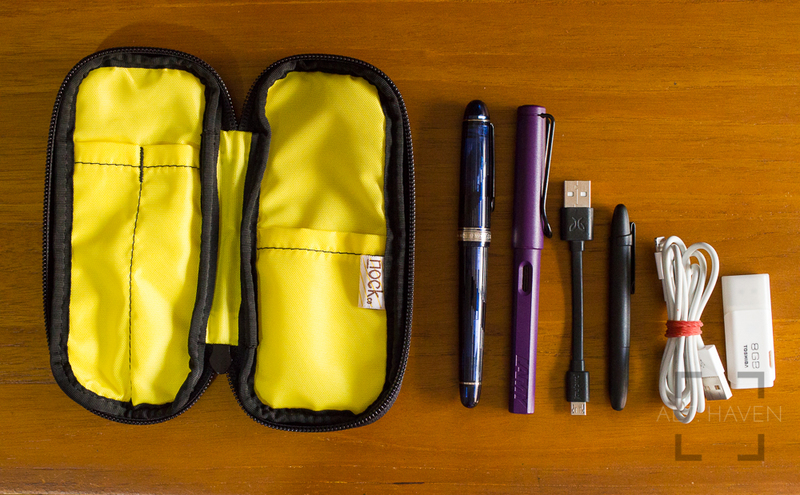 They have launched their pen cases sometime last year and, yes I am late to the game, but I’ve picked up an Oversized (150mm) Pen Case in the seigaiha (waves) Kon (navy) colour. 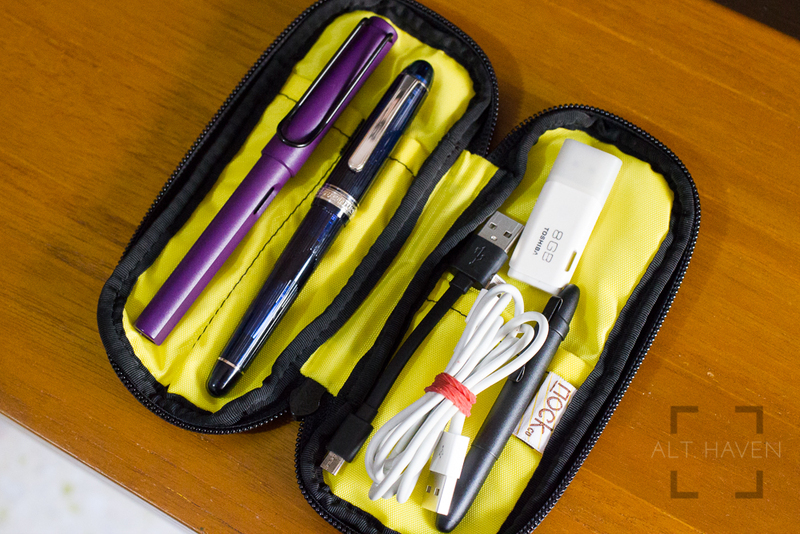 It is essentially a two pen case with a removable divider to make sure your pens don’t touch. It fits my girthiest pens, two Nakaya Piccolo, side by side without any trouble. It also fits my tallest pens, Pilot Custom 823, with no problems. The case is well made, stitching flush and tight. Its frame semi-rigid, which helps protect the pens inside from impact. 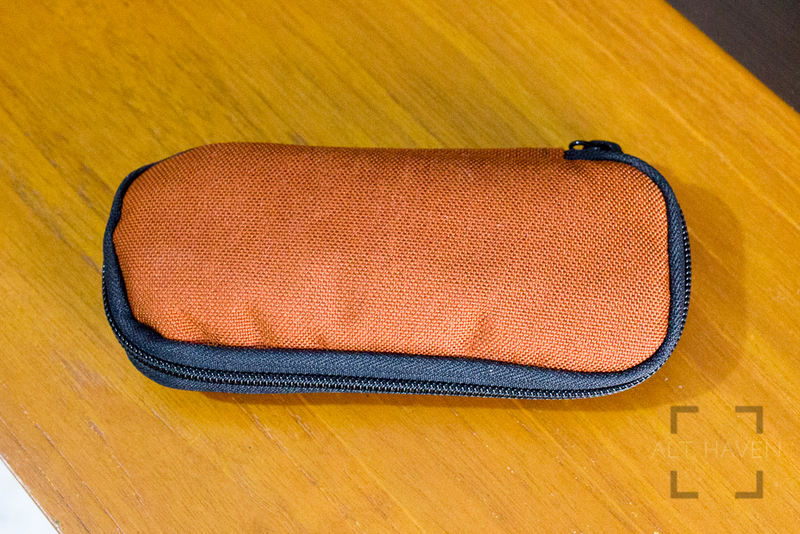 The pen case is secured with a button and has a fabric pull tab on the exterior for easy access to your pens. I personally do not take good care of my pen cases. After all they are there to protect and carry my pens, not be yet another item I need to baby. After using it as my solo pen cases for months, being thrown into my bag with other stationery without care, it looks as good as the day I’ve purchased it. The fabric exterior didn’t even looked like it is dirty in a way fabric tend to do. My only pet peeve is the divider. I wish it is stitched to the interior of the case so that it can be folded down, which is probably never going to happen, and pushed back up when required. The divider being removable just meant I’ll be prone to losing it. Thankfully, that hadn’t happened thus far. The pen case just screams understated (excuse the oxymoronic play of words here) high-end product in a way my other pen cases do not. It is form matched with function, paired with a direct social impact. And retailing at SGD$100 for the Oversized and SGD$85 for the Regular, I’d say this is a steal. Papier Plume is an American stationary store. They have a wide variety of inks. Bayou Nightfall is one of them. It is a nice blend of green and blue. It hovers on the edge of the two colours. 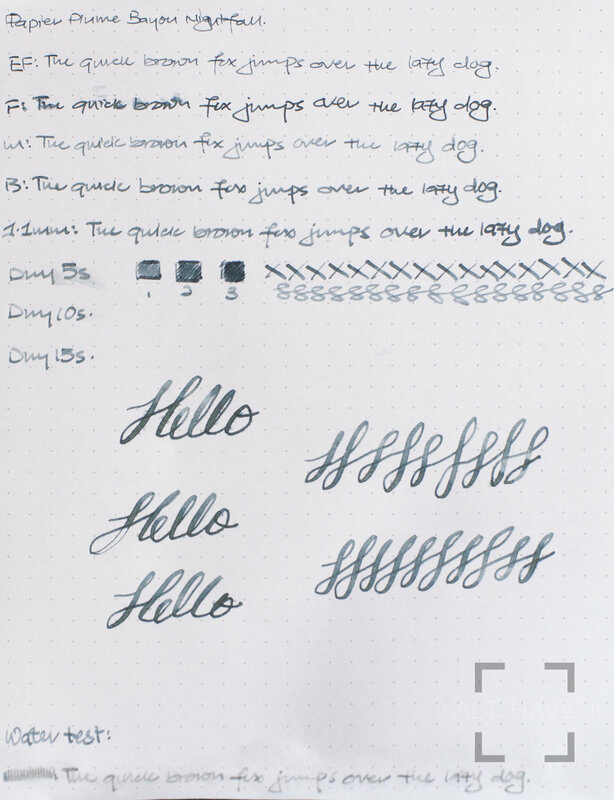 It is also understated enough for corporate use but it can look rather light depending on the nib size you use. 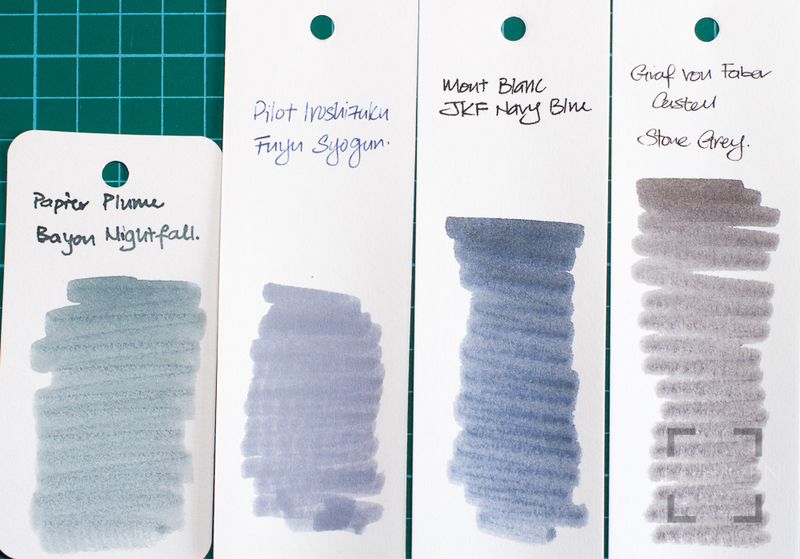 I really enjoy this colour though Bayou Nightfall is a rather dry ink. Pick the pen you fill this ink with accordingly. This is Rohrer and Klinger 2018 Limited Edition ink. It comes in a cardboard tube packaging which I’m sorry to say reminds me of an empty toilet roll but at least the packaging is highly recyclable. Rohrer and Klinger Aubergine is a dark purple ink that shades subtly, going from a deep dark purple to a muted dusty purple. It’s a rather dry ink so choose the pen you fill it in accordingly. Personally though it is a nice purple ink, it isn’t my favourite one. I’ve backed the Pen Addict Kickstarter 2018 last year. One of their rewards had been the Nock Co Tallulah case in Clay and Sunshine Yellow. My initial thought upon looking at this case was I’d probably prefer the Lookout way more than the Tallulah. And that initial thought hadn’t really changed when I got my case. 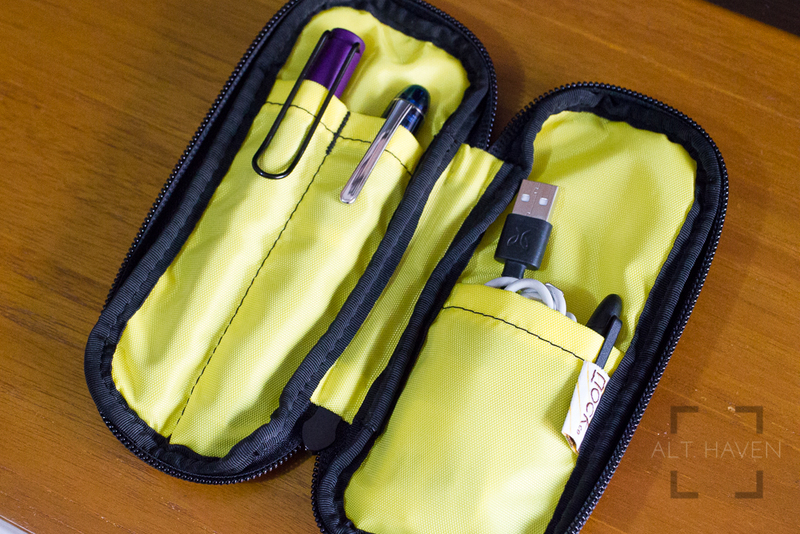 Essentially the Talluah is a two pen zip case. It has a 1000D Cordura exterior in Clay, with a 400D pack cloth in Sunshine Yellow. Unzipped the two pen slots are readily apparent on the left while the right sports a shallower pocket that spans the width of the remaining space. In the Kickstarter page, the product photos showed a name card in that slot. Now name cards are not a thing for me. So when I got my case, I was unsure how to fill that particular pocket. I went for weeks without a real use for that pocket. It wasn’t until I had the brain wave to keep my Apple Lightning cable as well as a short USB-A to mirco-USB cable in that pocket that it completely changed for me. Pretty soon my Fisher Space Bullet pen joined the cables and suddenly I had a very good EDC case. In the first useful incarnation, the Talluah was holding two fountain pens, two cables, a ballpoint pen and a thumbdrive. The cables are always within easy reach for me everyday at the office. I don’t have to rummage around my bag for them any longer. When I arrive at the office, the Tallulah is immediately unzipped and open for quick access on my desk. Later in the second incarnation, I swapped out the two fountain pens and squeezed two mechanical pencil into a single slot, namely the Pentel Graphgear 1000 and Kurutoga Advance mechanical pencil. The other slot held a Sakura Pigma Micron and Pilot Colour Eno mechanical pencil. And the shallower pocket still held the cables and Fisher Space pen but also additionally an eraser. The Tallulah has suddenly transformed into my portable sketch kit. I’m very impressed by the Tallulah. For what looked like an unimpressed two pen case, it is more than that. It is a chameleon that morphs and changes its colours based on your needs. You just need to figure out what are the bare essential tools for any particular you want to kit the case out for. 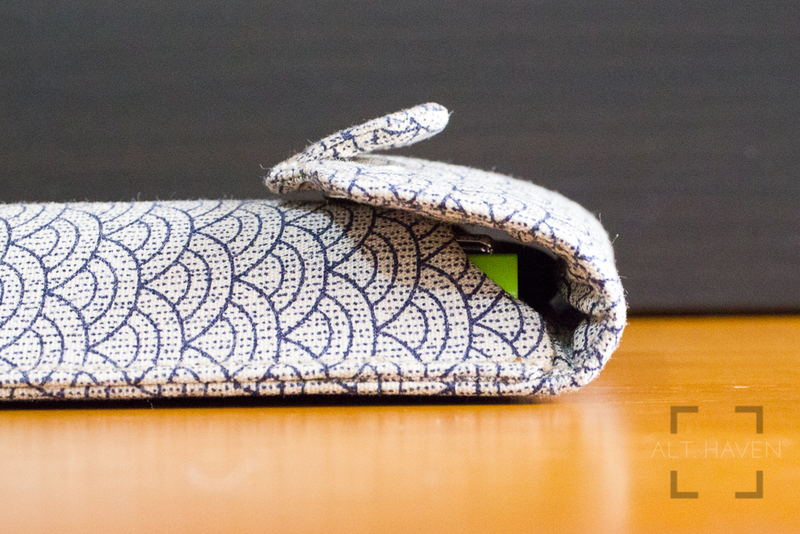 And with a zipper enclosure, you can conceivably have something loose within the case. And after a recent iPad Pro purchase, I’ll be adding a USB-A to USB-C cable to the kit. I think for its versatility, it trumps (pardon the word) the Lookout for me at this point as a case. 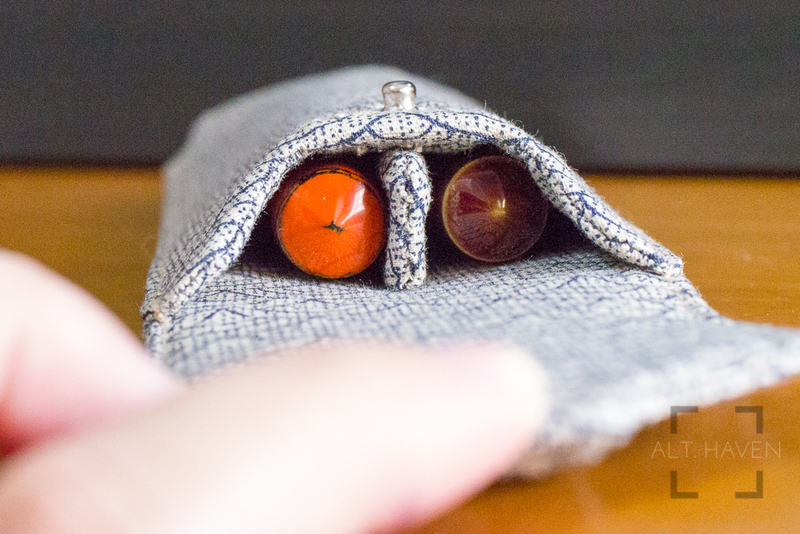 If I’m looking for a fountain pen case, I’ll still reach for the Lookout but if I am an all rounded holder of stuff, the Tallulah will be it for me. The Talluah retails at USD$30. For what it allows me to carry with me and have quick access to, I’ll pay the price gladly and order a second one.